While doing that I had quite the trip. Bankstown > Broken Hill > Flinders Ranges > Cameron Corner > Innamincka > Lake Eyre > home. There is another video in the making which I'll share soon, also more info on my documentary coming as well. Those shots are brilliant! What a remarkable adventure that must have been? Thanks guys ... it is a LOT of fun doing these trips. Need someone to boil billy,light fire fly a little?? Some nice shots there mate. I like the mount with the gyros for the 5D MkII in the R44, how did the footage turn out? 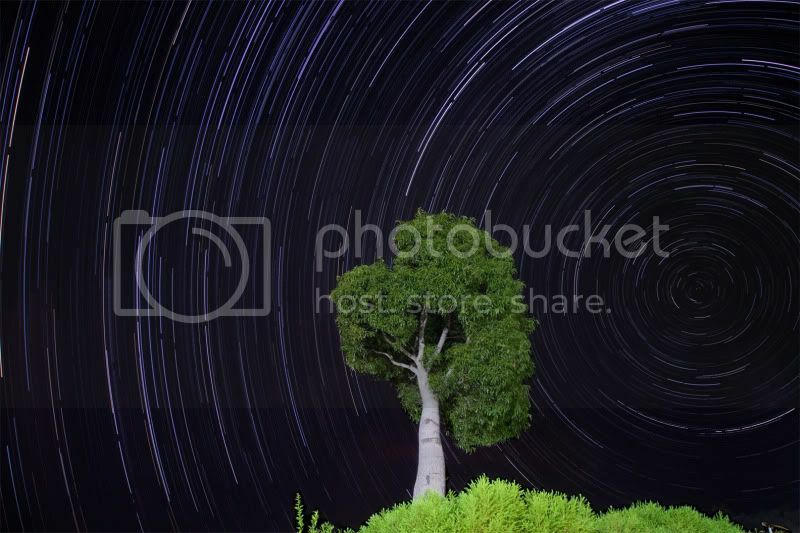 You should have put together some star trail shots while you were out there with no light pollution. Put this one together a few weeks ago. How'd you get the camera and tree to rotate at the same rate Hollywood? Great shots Matt, I'm Jealous. I couldn't take a photo to save myself! The footage is awesome ... I'll be posting the finished vid later. We mainly focus on timelapse with the stars ... taking pics every 20 - 40 seconds depending on the night. Here is a random assortment I threw together, all these are the work of my primary camera guy, Keiran James. Make sure you watch till the end, there is an super one of Sydney Airport. matt that timelapse video was awesome. that sydney airport shot was the coolest time lapse i think ive seen... well done. heres matt in person on one of the related vids he posted. Good spot on the satellites, you're going to love the next video.